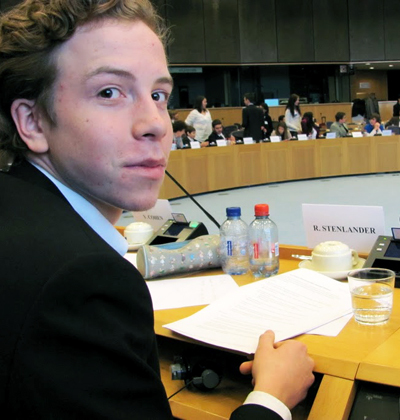 During Researchers’ Night Richard Stenlander was chosen to represent Sweden at the European Youth Science Parliament in Brussels in 2010. A youth parliament is a forum where young people can discuss issues and have an impact. The participants discuss and analyse current issues following an initial presentation of the theme. They produce proposals for solutions and create motions. Often, final proposals are debated in the presence of decision makers. Youth parliaments can be organised to address current issues involving research and science. Youth parliaments engage young people and give them an opportunity to learn more about research and its connection to political decisions. Preparations: Find a suitable theme and venue. Market the activity well in advance and gather applications. Organise refreshments and materials. Create a schedule and send out information to the participants. Challenges: Finding a suitable theme and getting decision makers to participate. Benefits: Can generate a lot of interest in the issues among the participants.